earlier this week, i had pumpkin puree left over from making pumpkin spice pancakes + didn’t want it to go to waste, so i decided to try making something i’ve never made before: pumpkin cookies! after reading through a bunch of recipes, i opted for a fairly simple version: spiced pumpkin cookies topped with a drizzle of cream cheese icing. so, how did they turn out? wonderful! these cookies have a delightful cake-like texture: they’re fluffy, soft, + moist. they have beautiful spiced notes, thanks to the blend of cinnamon, nutmeg + cloves, which work wonderfully with the pumpkin flavor. the cookies themselves aren’t overly sweet, which is balanced by the more intense sweetness from the scrumptious cream cheese icing. all in all, these are a lovely fall dessert or snack. since they’re fairly light, i’ve been loving them as an afternoon pick-me-up with a cup of hot tea. any afternoon that involves cookies is always a good one in my book! preheat oven to 350 degrees F. combine flour, baking powder, baking soda, cinnamon, nutmeg, ground cloves, + salt; set aside. in a medium bowl, using a hand mixer or a stand mixer with the paddle attachment, cream together the butter, white sugar + brown sugar until light + fluffy. add pumpkin, egg, + vanilla, + beat until creamy. add in the flour mixture in two additions, mixing until completely combined. drop on a parchment-or-silpat-lined cookie sheet by heaping tablespoonfuls; flatten slightly. bake for 15-20 minutes in the preheated oven, until lightly golden. cool cookies completely, then frost or drizzle with cream cheese icing. 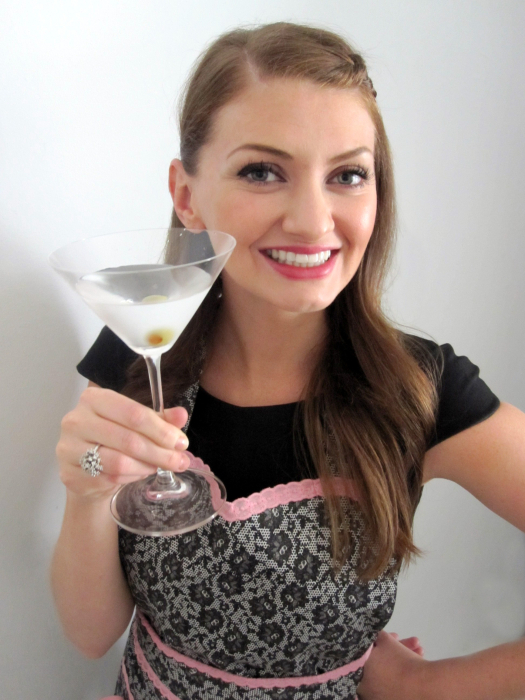 Happy 2 year blogiversary! I thought you had been blogging longer than 2 years. You have such a wonderful blog and the recipes you share are just fabulous. Here’s to the next year and the years after that! Congratulations on your blogiversary! Pumpkin spiced cookies are such a wonderful fall gift and yours are certainly gorgeous. Happy 2nd Anniversary. Congrats that is so exciting. Love following your blog. and the pumpkin cookies look so so yummy~! I’m liking soft pumpkin cookies like these way too much lately! These look fantastic Congrats on two years of amazing recipes! So glad you are here. I’ve been thinking about pumpkin cookies as well. Need to try! happy 2 year blogiversary! i’m a tad late hehe I was on vacation so forgive me! these cookies look extremely soft and the cream cheese icing on top is the perfect touch! Happy blogiversary!!! Ahhh, I’m so happy for you! What a way to celebrate – with pumpkin spice cookies! I need this with a glass of cidre or something! Congratulations to you and to your blog! Two years is such a great milestone. You deserve all the acknowledgements you’ve received on here (and other sites, might I add!). I have loved getting to know you + watch your blog grow bigger and bigger! Now, on to these lovelies. I’m obsessed with pumpkin, and I need more of it pronto. I love that you stayed simple here (unlike mine, where I threw about 3 other big ingredients in), and I’m sure the taste was amazing. Bookmarked for sure! nom nom nom. I’ve been cooking with pumpkin all weekend! 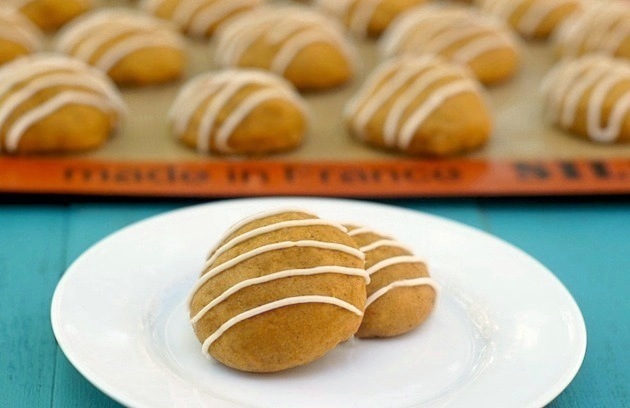 Pumpkin cookies will be sure to be next on my list! And Happy Birthday to your blog! Happy blogiversary!! You always have beautiful looking dishes, and I know there are many more in your future! Cookies look fab, great way to celebrate! Now, on to the cookies, which look amazing! I love soft, cakey cookies and the delicate icing on top is perfection. i just found you… so haaapppyyyy, love your approach. You are fearless and so straight foreward, I find that charming. I am an old bag who is stumbling along the computer highway, but find my interests are common to many younger folks. Common interest in family life spread into public life which I think makes a better world. Thank you for being so brave.